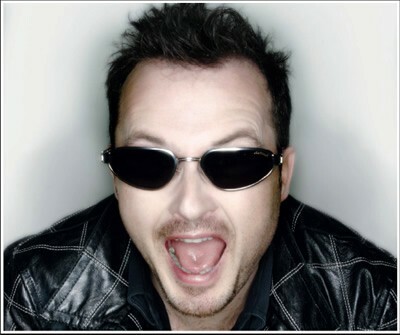 Jim Corr knows too much: Lisbon, the New World Order, 911, the Freemasons, swine flu… Yeah, he’s twigged it all. He’s done his homework – seeing through the lies and connecting the dots. As an employee of the mainstream media, I am sworn to do everything I can to prevent his message getting out to the unsuspecting masses… For that reason, I must insist that only fully fledged members of the International Conspiracy to Hoodwink Everyone on the Planet (Except Jim Corr and Charlie Sheen) into an Authoritarian Superstate should check out his rather snazzy website. The rest of you move on, there’s nothing to see here. MC: So why did they break up the Soviet Union? JC: It’s called divide and conquer, Matt. If it were satire (which it could so, so easily be), I’d have congratulated the writers on a job well done, but maybe advised them to chop a couple of the more ham fisted laugh lines. (“Since we finished touring, I’ve had time on my hands”, “If you don’t believe me, you can read all about it on the internet…” etc.) Too much, I’d have said. No one will believe it. Incidentally, when’s the solo album out Jim? @baz – your post was abducted by the minions of the shady world dominating Bilderberg group, taken to area 51, converted into windings font spelling the precise location of the Nazi moon base, now presumably the current HQ for the Yes campaign. @ Baz – I had no issue with your comment, but the Freemasons, well… They saw things a little differently. Ah seriously, I don’t think you left a comment. But feel free to do so. Seriously, if he was my brother I’d get him involved with the kids rugby or something. He’s got nothin better to do. He’s only a few steps away from starting a cult…. So he’s a conspiracy nut, now to find out where he draws the line, holocaust denier ? Lizard men ? Crab people ? Their new album due out next year is to be called “Rotten to the Corr”. Produced by Jim it will be heavily politicised in content, with spoken word passages, audio verité and adorable tin whistle solos. The worst part in all of this is that, if you listen to him on the tape, although he obviously comes across as being very naive, he really does sound as though he means well. Maybe Massey is right. Maybe they should put him in charge of an U-12 football team or something, keep him away from the internet. I’d love to take a trip to the parallel universe where Jim Corr’s three sisters are average-looking, tone-deaf munters and see what the mad spoon is up to.